A Ron Paul supporter paid for THIS AD in USA Today. The full page ad, due for publication on Nov. 21 in USA Today, is entitled “An Open Letter to the American People,” and reads as though it were penned by the Founding Fathers. In it, they admonish modern day citizenry for not heeding the founders’ original warnings. 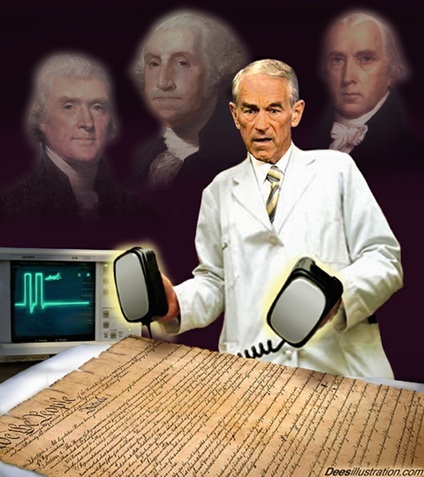 Each advisory is then followed by a forthcoming solution if Ron Paul is elected as President. Issues such as entangling foreign alliances, government corruption, excessive taxation and preserving national sovereignty are emphasized. Lepard followed the political career of Congressman Ron Paul for over 20 years by subscribing to his newsletters, donating to his congressional races, and attending speeches at economic forums. “Over the years, I learned to admire both his positions and his integrity. He struck me as the ‘Mr. Smith Goes to Washington’ type,” says Lepard. When Dr. Paul announced his candidacy for President back in March of ’07, Lepard had already donated to Paul’s exploratory committee. Ron Paul is a 10-term Republican Congressman from the 14th District of Texas. Dubbed by many as the Champion of the Constitution, his campaign has recently shocked media pundits with unexpected fundraising feats. Most recently, grassroots efforts netted $4.2M in one 24 hour period this past November 5th, with $8.5M being raised so far this quarter. Paul is gaining in the polls and may have more money on hand than so-called “top-tier candidates” such as John McCain. The Ron Paul campaign had no involvement in the creation or funding of the USA Today advertisement.